It has been a crazy summer around here with a hugely disruptive house reno that is still on going. I have done a bit of crafting outside the home but not much here in my own little cave. 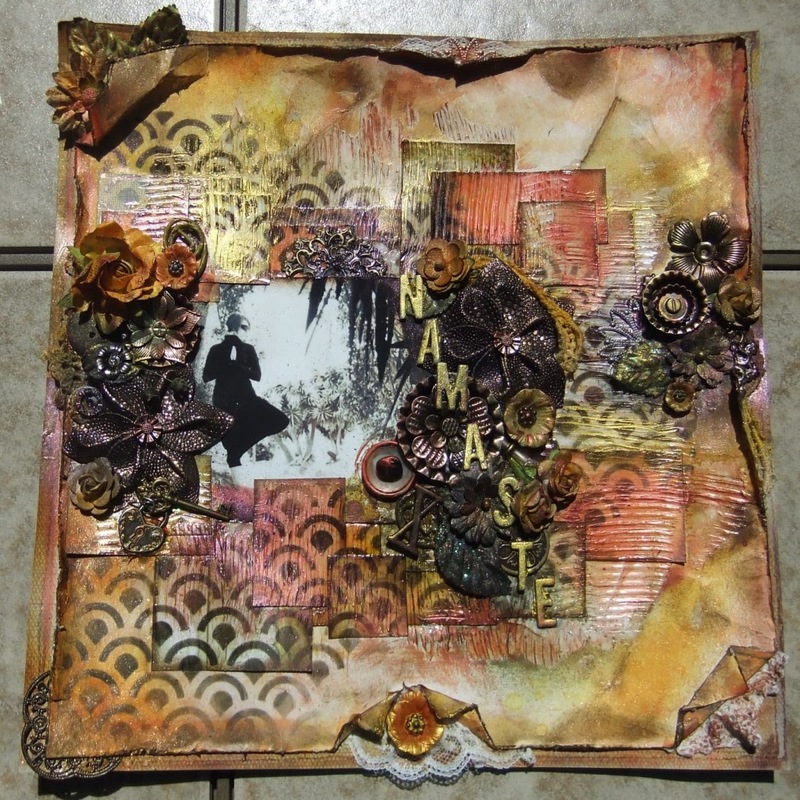 I will show you two projects that I built while attending a workshop with Finnabair at a paper arts store in my area. I followed Finnabair's directions very closely on these two pieces; they look very much like her work and not so much something of my own imagination. 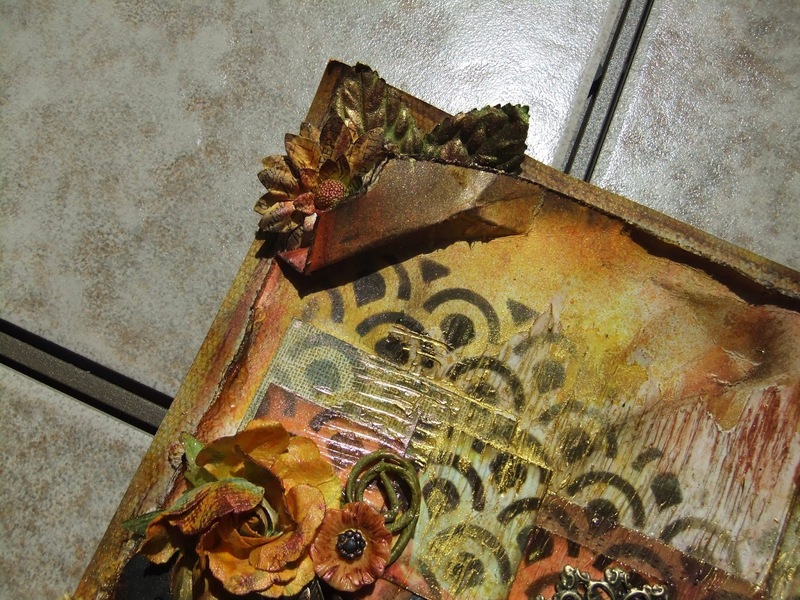 However, I love the results and am looking forward to doing more mixed media work of my own. I have a couple of ideas percolating in my head and hope to get at them soon. Meanwhile, here is what I did with the grand master herself. You can to see more of Finnabair's work here. She is true genius. are Prima Finnabair products. There are a few random buttons, etc. The coloring is done using white and black gesso, and then a combination of sprays made with Luminarte Primary Elements, and Silks acrylic paints, also by Luminarte. The photo in this project is my sweet grand daughter, taken 6 years ago. 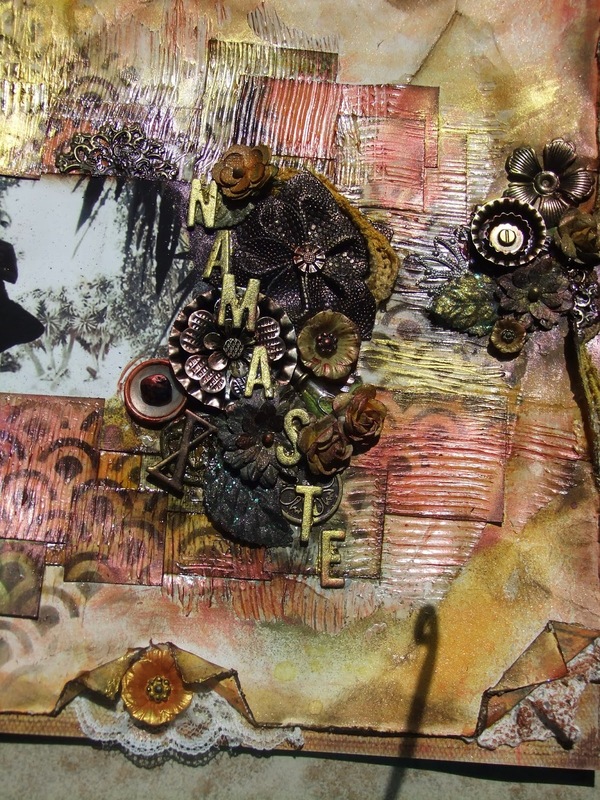 The base of this project is two 12x12 sheets of cardstock distressed and layered. Then several treatments and embellishments were applied. I won`t go into details because this is not my work, but Finnabair`s. 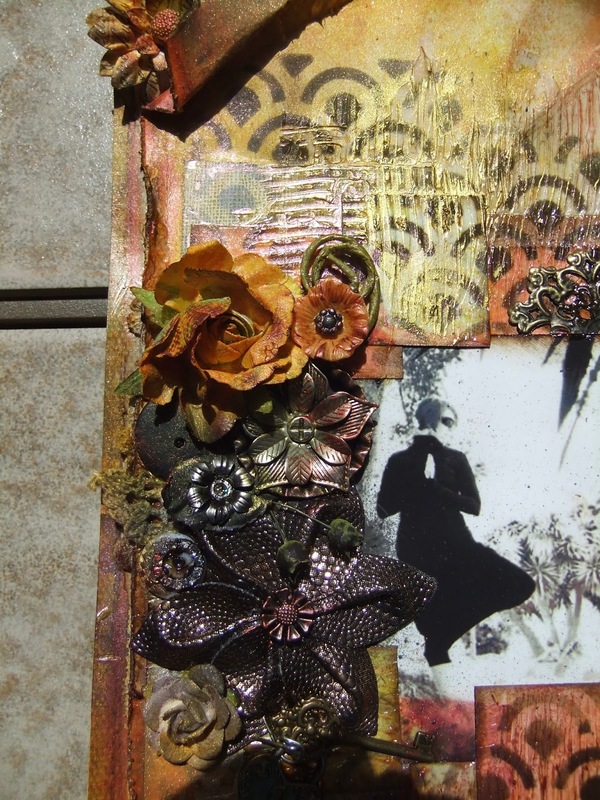 We used lots of Prima products here, and some random lace and buttons. You can see the wonderful layers we created and the gorgeous sheen and texture in these close ups. When I got home, I treated a 12x12 stretched canvas with some Silks and Primary Elements to match the project, then attached my finished piece to this canvas with some gel medium. This was all so thatI could hang it on my wall. This picture is of my amazing daughter.